A true wet room is a fully tiled room with an open shower area. It usually includes a loo and sink and often no bath. When you come to sell your house, a wet room can be an asset – estate agents report that buyers may pay a premium of up to £10,000 for a wet room in place of a standard bathroom. However, it's important that it's an en suite or second bathroom, as removing the bath from a family bathroom could make your home less attractive. Made in the UK, Polyfab Coatings & Systems Ltd is the UK's premier manufacturer of reinforced construction boards, raised and level shower-trays and tileable bath panels. 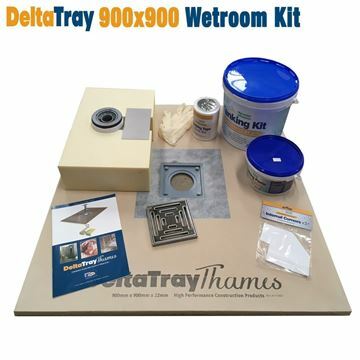 DeltaTrays are lightweight, waterproof, robust shower tray formers manufactured using high density XPS as its core element with a factory applied reinforced cementitious coating that creates an impact resistant ready to tile surface. DeltaTrays provide the perfect solution for the creation of “walk-in” level access shower areas and modern wetroom environments. The DeltaTray Thames and DeltaTray Trent form the “premium range”. The “premium range” provides improved performance. Increased resistance to point loading enables the use of mosaic tiles as small as 20mm x 20mm. Increased flow capacity and undertile drainage makes the Thames and Trent range the perfect solution to suit the most demanding wetroom project. 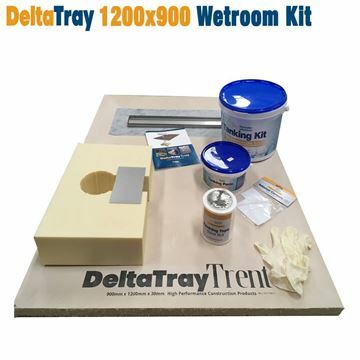 The DeltaTray is ideal for wet rooms and shower construction. The Shower Tray can easily be cut to fit the shower area or to produce an irregular or circular shower base. 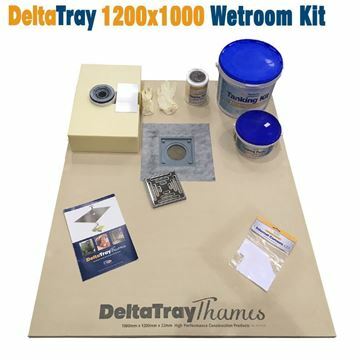 Unlike some other underlays, the delta tray is sufficiently robust to allow mosaic tiles to be laid on it without the risk of compression through point loading. All shower trays come complete with drains. TileMaster Tanking Kit is a ready mixed, under tile tanking system to protect water sensitive substrates from exposure to water. Plaster, plasterboard and timber are sensitive to water. 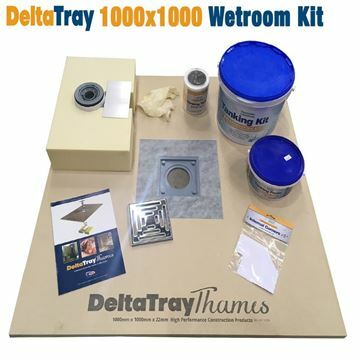 TileMaster Tanking Kit is easy to apply and will cover an area of 7m2. In the 5kg kit you get 2.5kg Tanking Paste Tanking Liquid and 10m length of Reinforcing Tape, 2 Internal Corner & a pair of latex gloves. 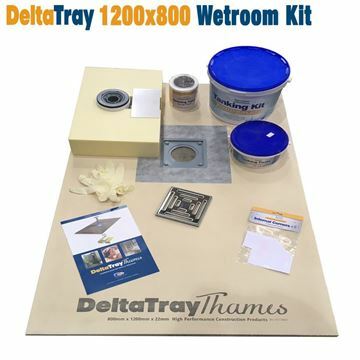 Come to our East Midlands showrooms at South Normanton and Derby to see how great these wet room kits are. Speak to the friendly Tile Town team to get some expert advice on your wet room plans.